ComforTech premium-grade harnesses are built to reduce fatigue through the proprietary incorporation of gel, memory foam and lumbar support--the evolution of comfort. Available in standard non-belted, belted construction, climbing, retrieval, and tower versions. 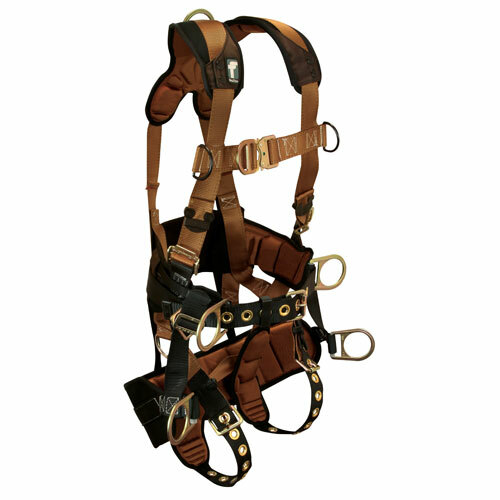 The ComforTech line of harnesses is our best-selling line of premium harnesses, hands down. Our customers report that they appreciate the quality construction, comfortable fit and affordable price. FallTech was careful not to price themselves out of the market. Sure, you can spend more on a harness, but you don't need to.